Did you know that there are plenty of benefits that come from using vaporizers? You do not need to be a smoker to appreciate what a vaporizer can do. Vaporizers offer interested individuals the options to consume through vapor ingredients that come from plants that is healthy and good for the body. These devices are also known for helping smokers avoid the harmful effects of carcinogens that come with the habit of smoking. Vaporizers allow them the same experience they get from plant materials such as cannabis through vapor. Impressively, vaporizers also help smokers make a more economical choice while consuming a healthier dose of smoke. If you want to learn more vaporizers, here is a leading vaporizer to get you started. Find out how this vaporizer works, what it has to offer and how it can change your life. Read my official volcano vaporizer review below. 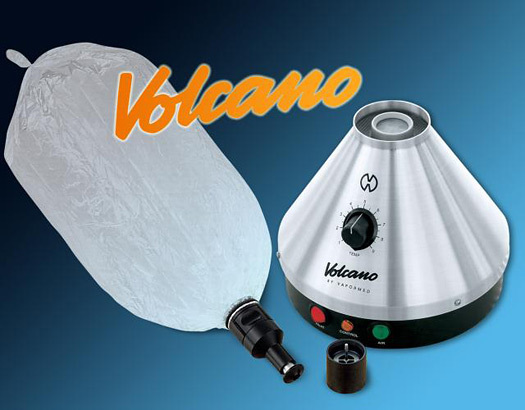 What is the Volcano Vaporizer? 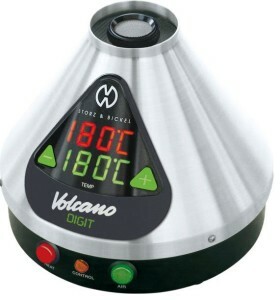 Thanks to Storz & Bickel, professional and connoisseurs have been enjoying the wonders of the Volcano Vaporizer. This device delivers top quality vapor extracted from plant materials such as cannabis. The main device of the Volcano is the heat generator. It essentially extracts the ingredients from plant materials and produces vapor into a bag. This device promises quality you can taste in the pure and flavorful vapor it produces. One glimpse at this product and you’ll understand where this device gets its name. Shaped like a miniature volcano, this vaporizer’s main heat generator has a sturdy base which makes it even more reliable. It comes in a professional and simple design made of metal. Depending on the type of vaporizer, this device comes with either a dial or a set of buttons for temperature control. It is also designed for easy storage and regular use. Using the Volcano Vaporizer is plain and simple. Preparation does not take that much time as well. A set of buttons as mentioned earlier will be seen at the bottom of the heat generator. The red button is labelled “Heat” while the green button is labelled “Air.” Once you’re ready, just plug the device and press the red button. This will start the heating process. An orange light labelled “Control” will light up located in the middle of the red and green buttons. Depending on the type of device that you have, you can control the temperature settings as needed. The orange light will go off once the device has reached your desired temperature. Attach the valve with the plant material you have prepared and the balloons. After you have secured these materials, press the green button. The balloon will start to inflate with the vapor. Be careful not to fill the balloon too much. Press the green button to stop the filling process and remove the balloon. Attach the mouthpiece and you’re now ready for freshly produced vapor. To turn off the device, just simply press the red button and remove the plug. Storz & Bickel offers two varieties of this product. The first one is the Volcano Classic. This variety is the analog one that makes use of a dial for temperature control. The temperature range for this type is around 266°F and 446°F or 130°C and 230°C. This device is 3.5lbs in weight that comes with a 3-year warranty. The company also offers a great deal on an Easy Valve starter kit for this type of Volcano. The set includes a filling chamber, an air filter set, easy valve balloons, an herb mill, a cleaning brush and a liquid pad. The other variety is the Volcano Digit. Instead of a dial, this device makes use of a pair of buttons used to increase and decrease the temperature. You also get to see an exact reading of the temperature both current and your target temperature on the LED display. The temperature capacity of this device ranges from 104°F to 446°F or 40°C to 230°C. This variety also has a feature that automatically turns off the device after being idle for 30 minutes. It is a bit heavier at 4lbs and also comes with a 3-year warranty. The Volcano Digit offers a more precise temperature control as compared to the Volcano Classic. You can also add an Easy Valve starter kit that includes easy valve balloons, an herb mill, a filter set, a liquid pad, an air filter set and a cleaning brush. How does the Volcano stand out? The Volcano Vaporizer offers two varieties that gives consumers the option to choose which type works best for them. It comes in a shape that does look like a volcano and produces air in a similar fashion. It is a vaporizer that has been around for more than 10 years and has earned a reputation that does not disappoint. The Volcano Digit with Easy Valve Starter Kit retails at $599.00 while the Volcano Classic with Easy Valve Starter Kit is priced at $479.00. The price tag on these items might seem heavy on the budget but with regular use and the health benefits of vapor, you’ll easily appreciate its use and price. Why use the Volcano Vaporizer? We all want to make better choices in life. If you are looking for a choice that will help you get the most out of plant materials such as cannabis, then look no further than this vaporizer. Your body deserves the best in terms of cost, quality and durability. These vaporizers offer these and more. By choosing Volcano, you make a better choice in consuming vapor that is healthier for you. You also get more out of the smoking experience. Most of all, you get to make a more practical and economic change. The use of vaporizers is continuously growing while more and more people are learning of its benefits. It is also the most practical option for those looking into a better long term habit. The Volcano Vaporizer is definitely a vaporizer you would want to experience for yourself. I hope you found my volcano vaporizer review useful. I can gladly say it is one of my top 10 vaporizers of all time.